The next morning we enjoyed a delicious breakfast as we discussed the game plan for the day. 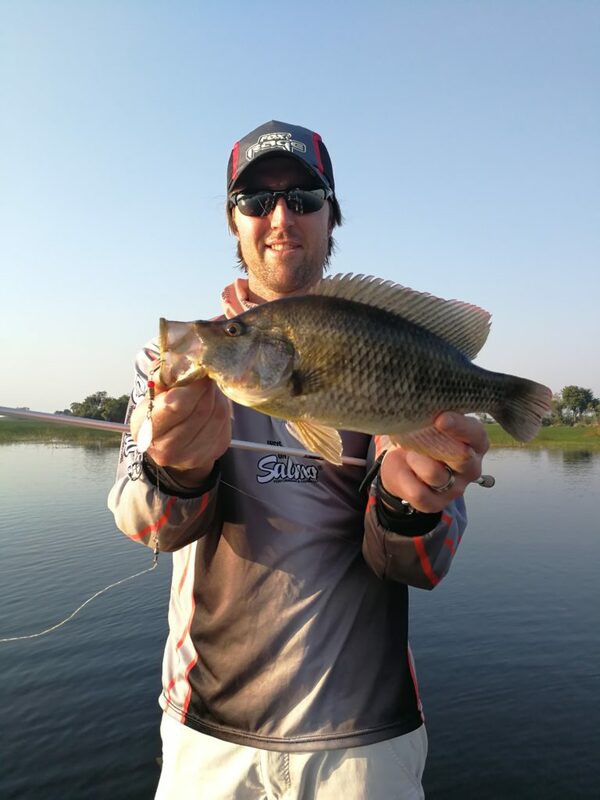 Our plan was to head out to a specific spot where the Trichardt’s have caught some big Three Spot Bream (over 2 kg) before. This spot consisted of an island with many trees hanging over the water. In these trees the cormorant would nest and the Three Spot would stay under these trees to feed on the bird droppings and left overs that make it in the water. Though the spot looked very promising, we were unlucky as only a few cormorant were nesting on the islands. It seems we were a bit early in the season to catch them in full nesting mode. 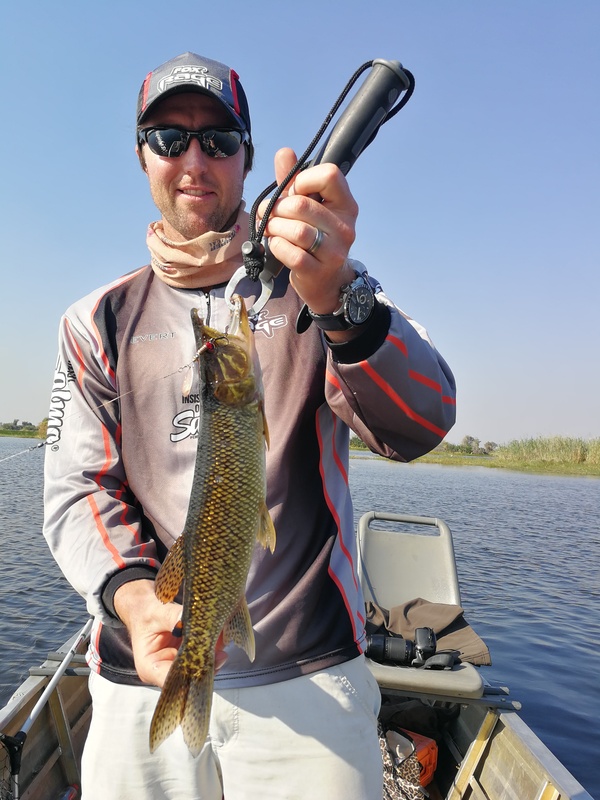 We didn’t catch any fish in the area, but Evert and Gherda saw how a crocodile grabbed a cormorant as it dived in the water – impressive sight! 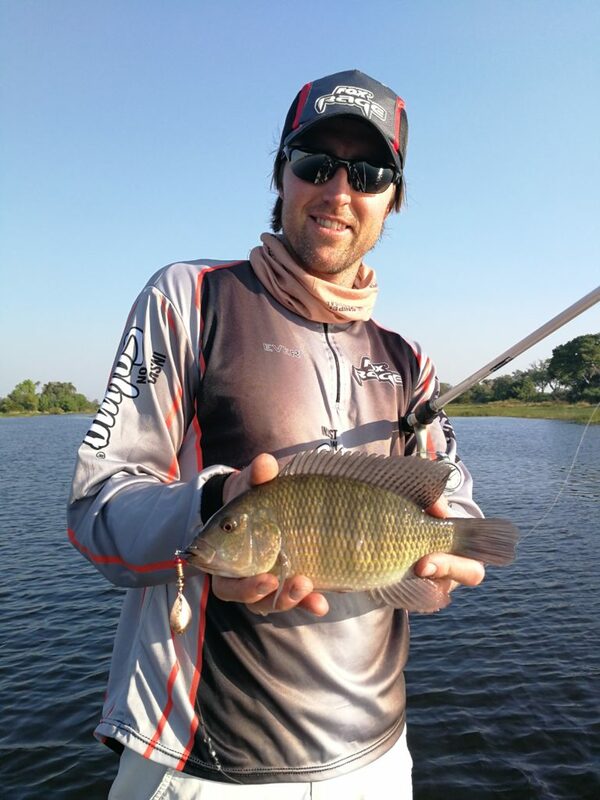 We fished in the bays in the area which looked extremely promising for bream fishing. Nice back waters with plenty of lily pads around. With my luck the only fish I managed to catch was a small catfish on a jighead with a grub trailer. 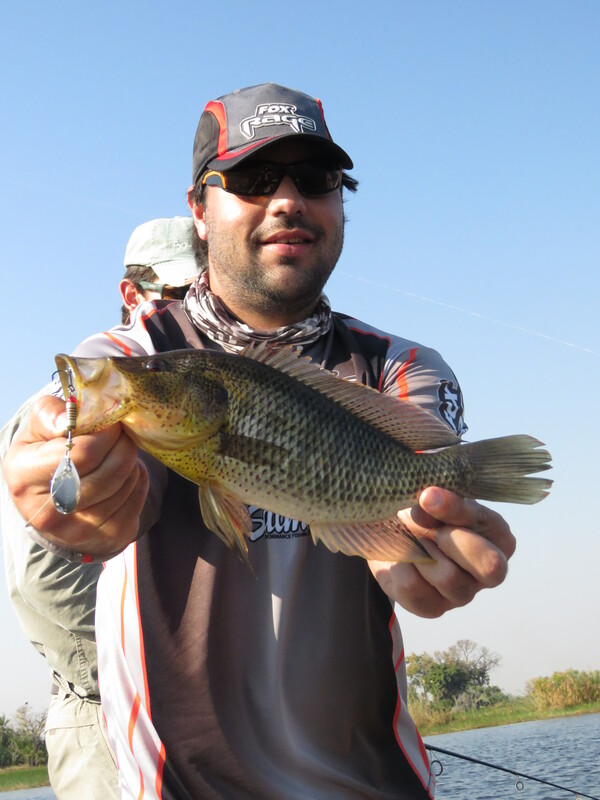 As the bream wasn’t playing along, we decided to try for tigers again. We went to a very nice spot where two rivers met. One could clearly see the water discolor as the side river joined the main river. 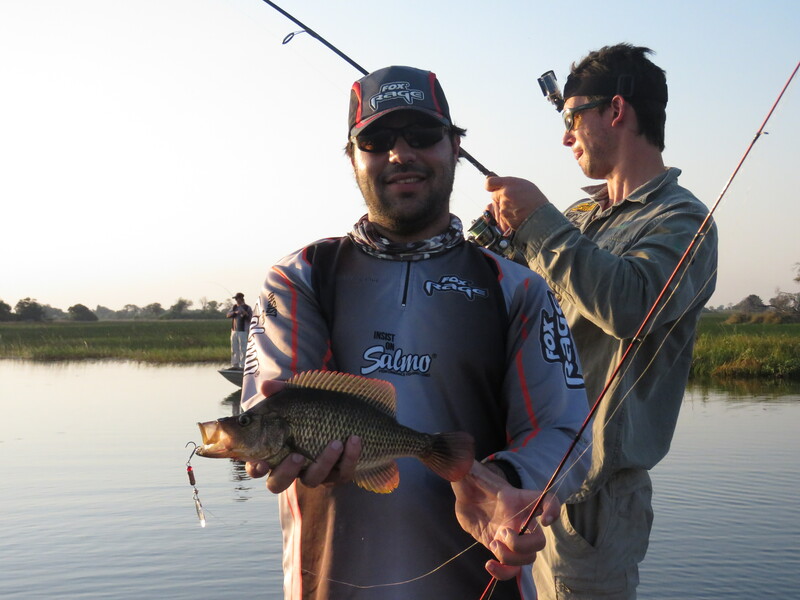 Fishing the edge of where the stained and clear water met produced some action! Evert and Francois smashed some decent tigers on Rattlin Hornets and Executors. 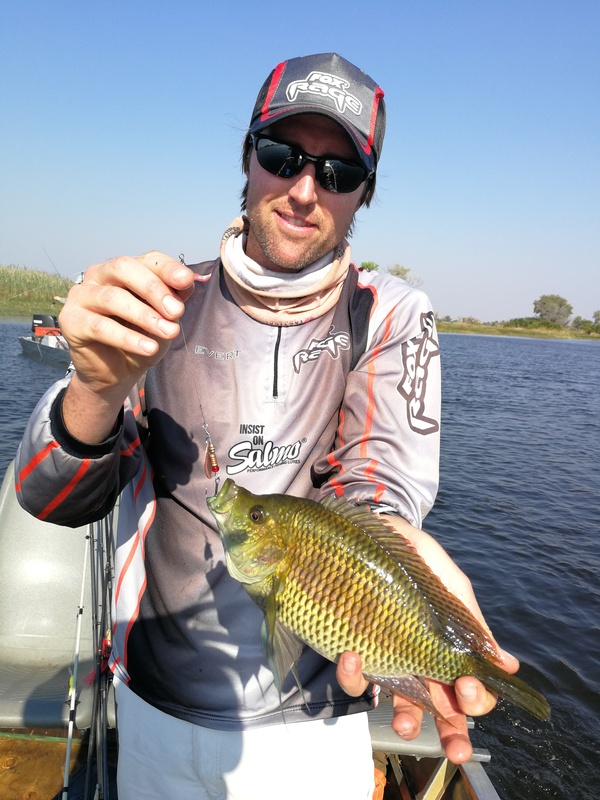 I went tight with another slab of a tiger which I fought for quite some time, but it managed to throw my Rattlin Hornet at the boat – these fish are just some damn good at throwing your lure! As quick as the action started, the bite went off and we needed to try something different. 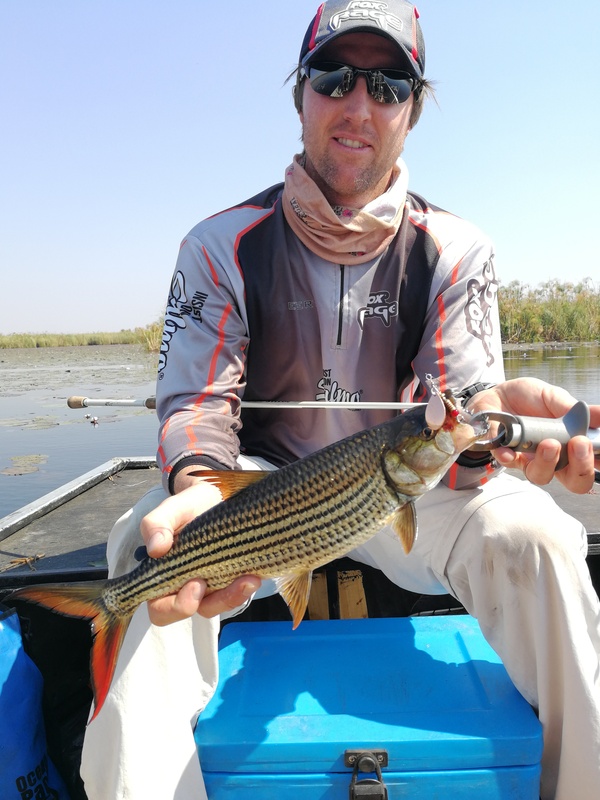 We went through the day trying various places for tigers, but the river was relatively dead on this particular day. We went off to grab some lunch and discuss a different approach. 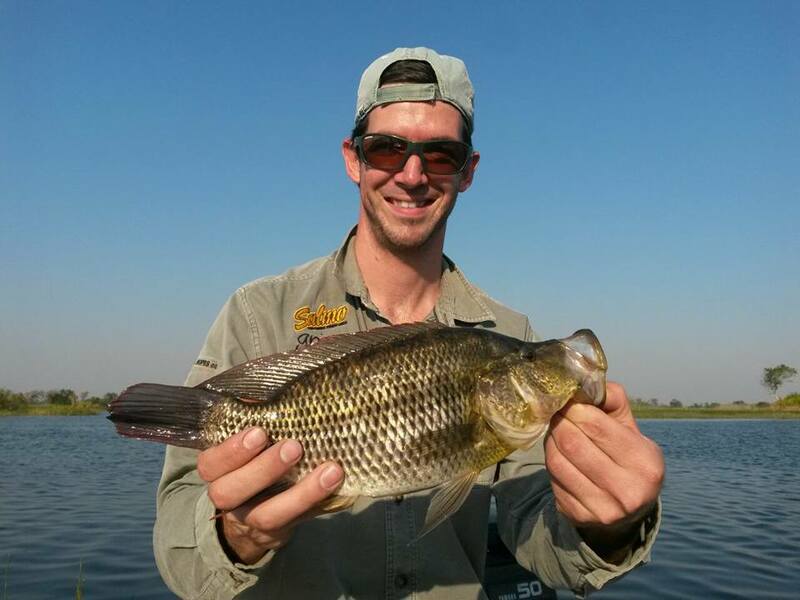 After being refreshed, the Trichardt’s decided to take on up to fish on the flood plains. We went back on the route on which drove towards the island. We were lucky this time as one of the best pools on the flood plain was available to fish. 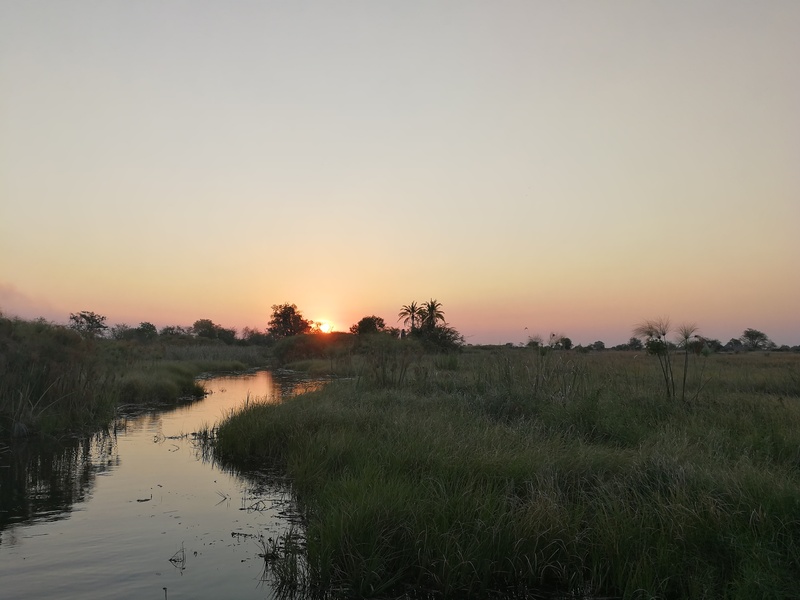 Normally the hippos make it impossible to fish in this particular pool, but on this late afternoon, only two hippos of the herd was in the pool and they kept their distance. Little did we know at this stage, that we were in for a treat! We went tight within the first few casts! At first we were hooking up with makriel and then pike joined the mix. Spinners was the go-to lure for this session and we were very impressed with the results our Fox Rage French spinners were producing. The spinners got good casting distance and we were able to retrieve it at an super slow pace with the blade still spinning. Out of the hundreds of casts we made, we didn’t experience a single cast where we retrieved the spinner with the blade not spinning (a problem experienced with many spinners on the market). The size 1 and 3 spinners in Bronze and Silver produced the best results. 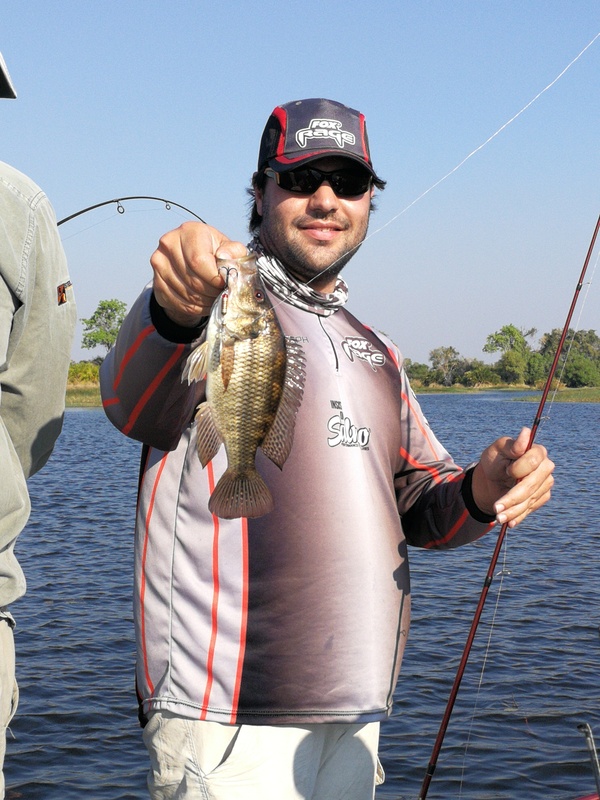 The size 1 spinner caught more fish than the size 3 spinner, but the bigger spinners caught better sized specimens. The technique that worked for us on this session was to make long accurate casts next to patches of lily pads, wait for a second and then retrieve the spinner. 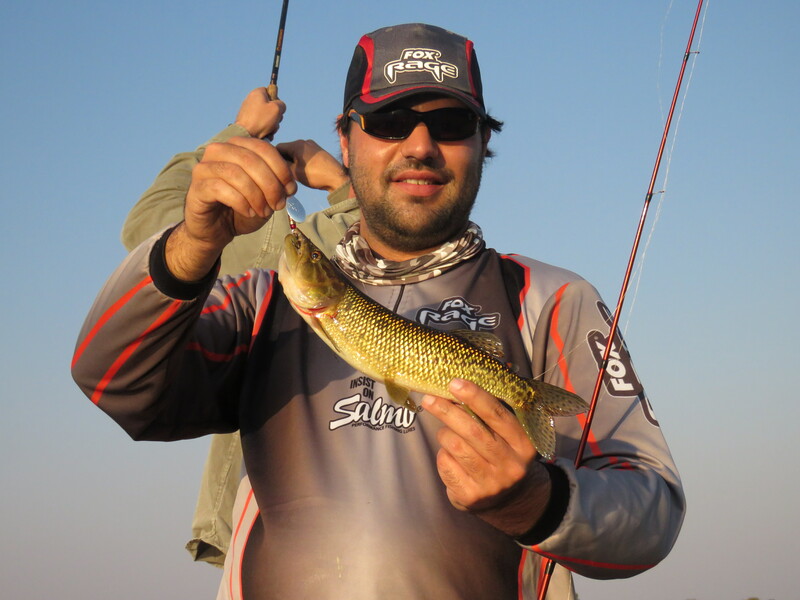 The slower your retrieve, the more fish we caught. The pool were were fishing had some deep parts, but most of the fish were in shallower than 2 m water. 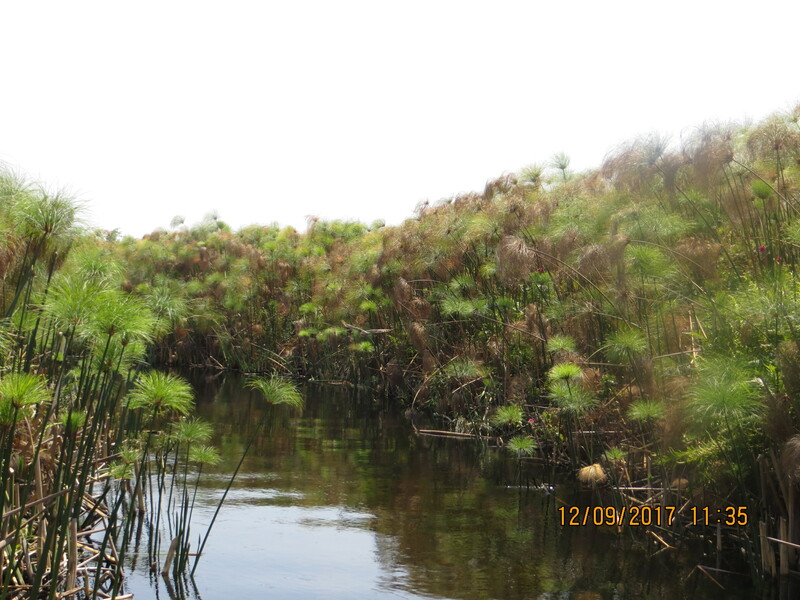 Sometimes we needed to retrieve our spinners at a higher angler with our rod tip in the air to allow the spinner to swim above the shallow bottom. Often the bream or pike would smash the spinners just as you would start retrieving. 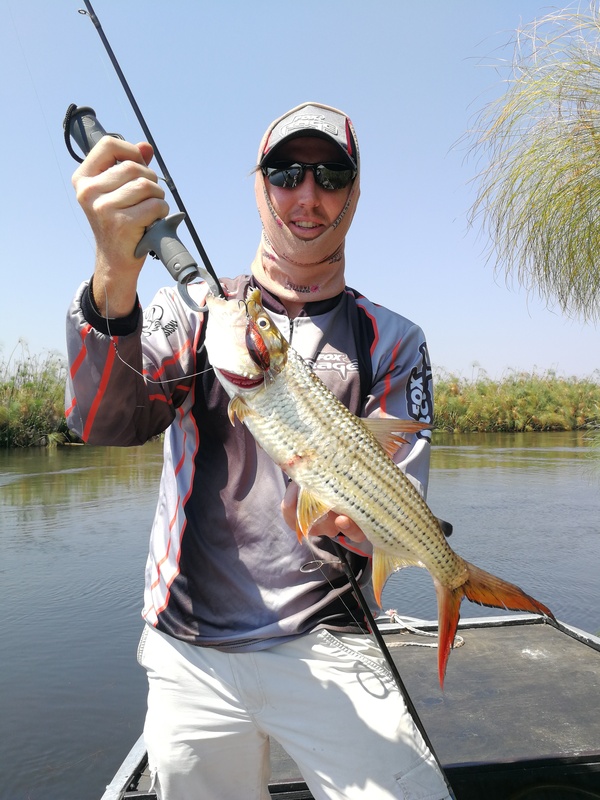 We also felt many bumps before getting a hook-up (this might be because the size 3 spinner was being hit by happies which have small mouths or pikes hitting the lure). Note that I fished without a steel-wire trace when fishing on the flood plains. It seems that very few tigers stayed in these waters, so a trace wasn’t a necessity. Though the pike seem to bite off our spinners from time to time; it was worth the loss as we caught much more fish without the trace. 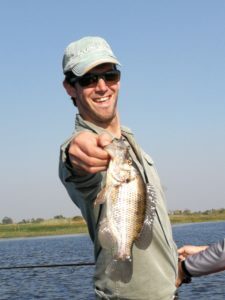 This was one incredibly fun session and we caught more than 100 fish between the 3 of us in less than 3 hours. It was also very nice to get a nice variety of species in this session. 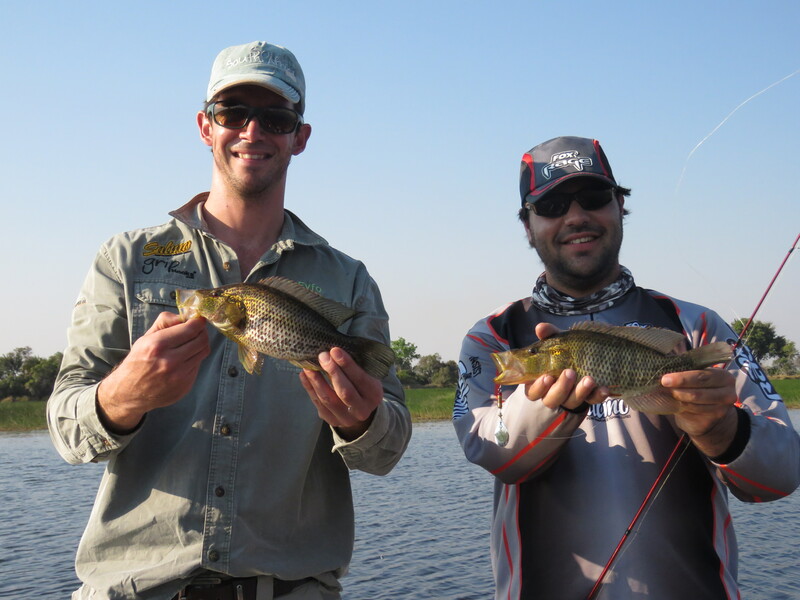 Francois and Evert both managed to catch a few new species to add to their life list. Between the three of us, we caught pink happy, green happy, rainbow happy, silver catfish, sharptooth catfish, african pick, thinface largemouth, humpback largemouth, purpleface largemouth, brownspot largemouth, banded tilapia and redbreast tilapia. 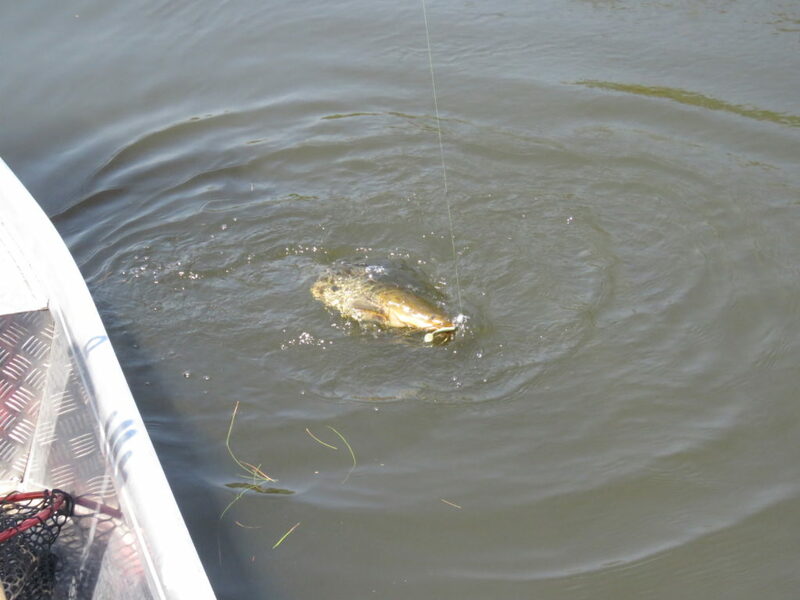 The majority of our catches was thinface- and humpback largemouth as well as pike. Most the fish were monster size, but the numbers made up for this. All and all, it was incredibly fun! 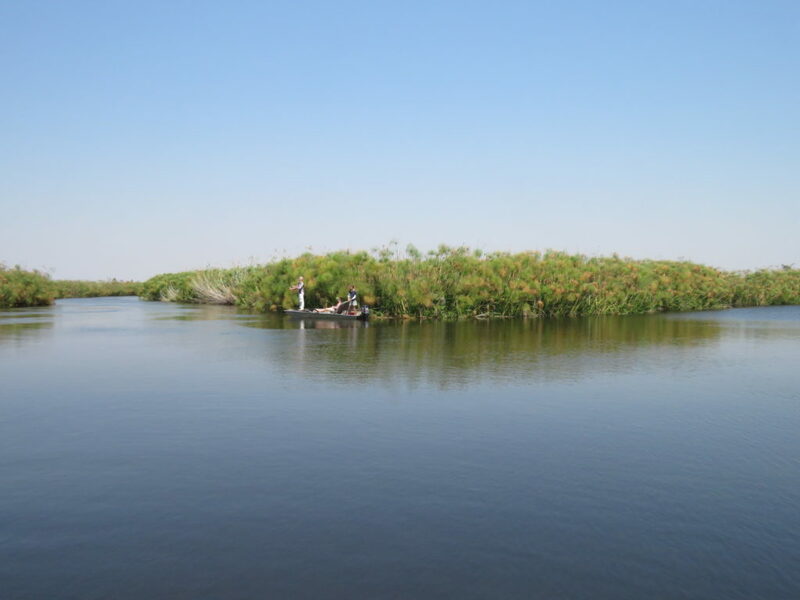 We also found a specific spot where we caught silver catfish on every cast – truly incredible! That night we went back with big smiles on our faces; what an epic session this was! The only thing I was still looking forward to, was to catch a decent nembwe or three spot. 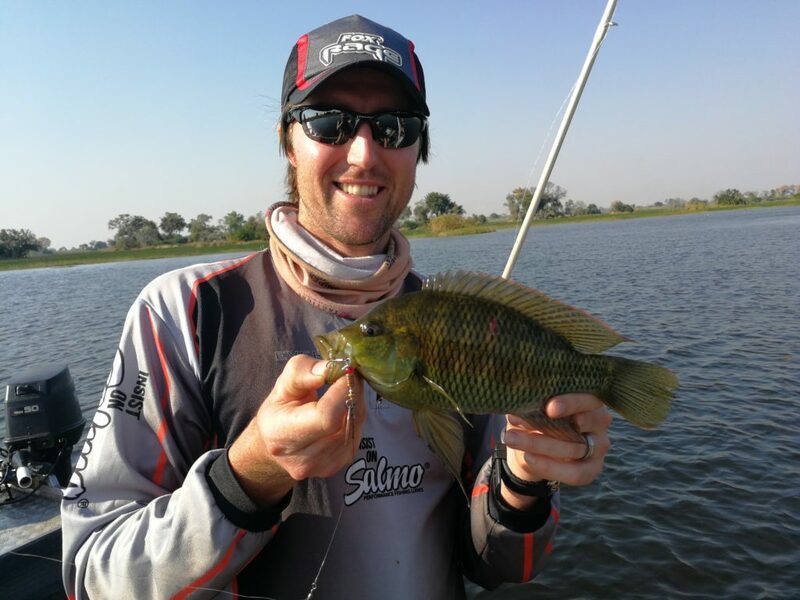 We pitched so may areas with jigheads in the main river, but we had no luck at all with bream in the main river. It seems that they were still keeping to the flood plains at this point in time. Would we be able to find these illusive species? !